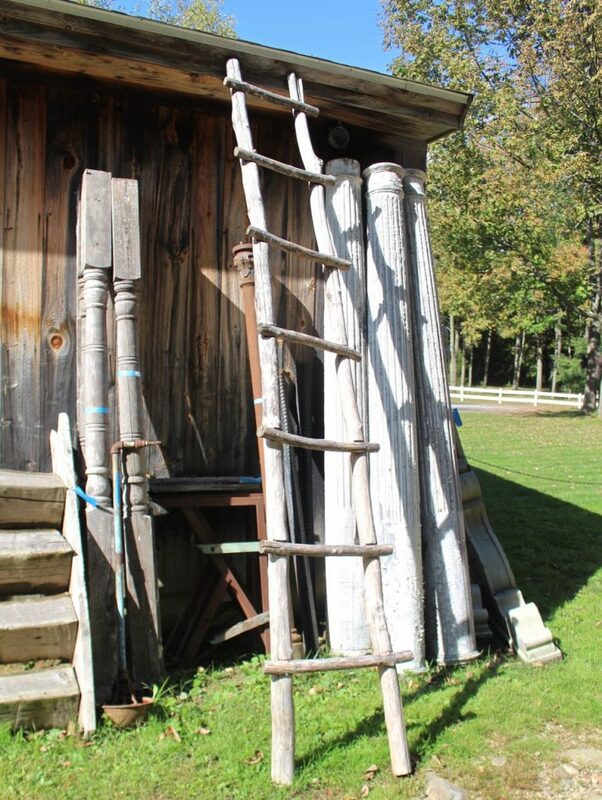 This hand-made ladder is from a local barn. Nail & notch construction. Beautifully made.